Well, there are more than 28,000,000+ people using Facebook who lives in Bangladesh and the number is increasing rapidly. The total daily active Facebook users are 728 million and it has passed 1.19 Billion monthly active users. Interestingly, the users are almost all the aspects of life, a day labor to a billion-dollar business person. If you are a product manufacturer, distributor or a seller, Facebook has opened a revolutionary era to market your product and service. Promoting international or local business through Facebook advertisement is now a trend. Let’s unleash the craze! There is no real example needs about the power of Facebook when we see a Bangladeshi small Fast-food and Coffee Shop opens their business announcing it on their Facebook page. Nowadays, there is no such business that can think their advertising and marketing campaign without Facebook. The two main advertising types of Facebook are- Traditional ads and Sponsored Stories. Basically, the ads appear in the right-hand column of users’ pages. The stories, however, are a recent innovation in Facebook’s advertising platform. They highlight Fan Page activity by providing News-feeds to your friends each time someone comments or likes your post. These advertising techniques help bring your product and services to your desired customer within a surprisingly short amount of time and budget. Facebook advertisement, on the same hand, helps to build a group of audience that in turn converts into your potential customer using the feature like Page Post Engagement, Page Likes, Clicks to Website, Website Conversions, App Installs, App Engagement, Event Responses and Offer Claims. 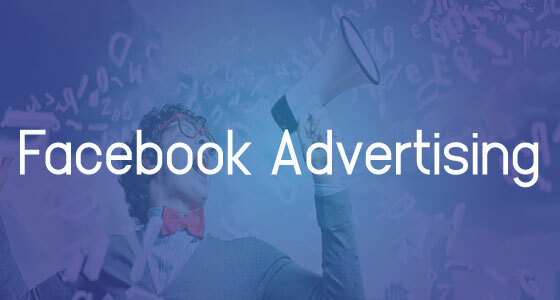 We provide Facebook advertising services in Bangladesh to reach the right target people for promoting business organizations, fan pages, products, causes or anything. Facebook strives to show relevant and effective advertisements.